We’re all so busy these days. And as much as I’m not a huge fan of that word, I get it… the struggle is real and it’s hard to fit everything into your schedule, especially when you’re on the go. But, I also believe that you make time for what’s important to you. And your health should be one of those things for sure, no matter what you’re doing or where you’re going. 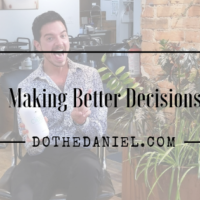 So, that’s why I thought I would put together a few easy ways for you to stay healthy while on the go – whether travelling or just out and about! Now, just sit back, relax and breathe. You’re gonna be just fine. 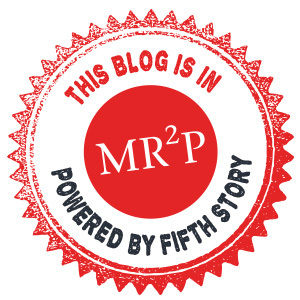 Before I give you those tips, I want to address what I call the “3 Ps” – Plan, Prepare and be Proactive! Not all of us are great at staying organized, but if you can at least nail down one of those Ps, you’re already leaps and bounds ahead. Plan your schedule, your meals, your supplements, your routine (even if life offers up a lack-thereof) – it’s YOUR effort to put in and only you are accountable for it in the end. 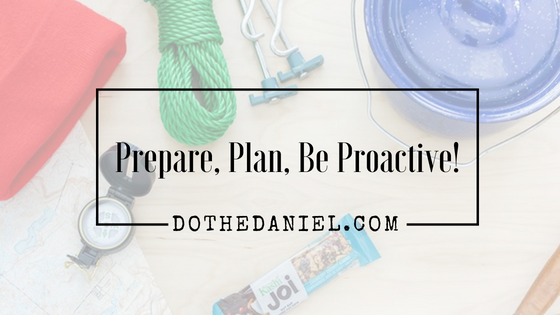 Prepare as much as you can for what life might throw at you, do your research or your homework before heading out, and take time out of your schedule to do things like meal prep, make grocery lists, etc. Be proactive by making sure to take care of your body and treat it properly before something can ultimately go wrong. We tend to react once something is already been established, instead of working on preventing it in the first place. By making small changes every day, you’ll see big results. But don’t fret! I’m here to help. It doesn’t have to be complicated or intimidating. It’s really just about setting a bit of time aside to make effort for yourself. Because you freakin’ deserve it, so remember that. Have a cute water bottle on you, fill it up regularly and use it often! Use a hydration app or set reminders on your phone during the day that tell ya to grab a some freakin’ H2O. Jazz up your water by adding fun things to it, in order to make it “more interesting” – like fruit, fresh herbs, veggies, etc. Eat your water – make sure to scarf those hydrating fruits and veggies in between sips of water. 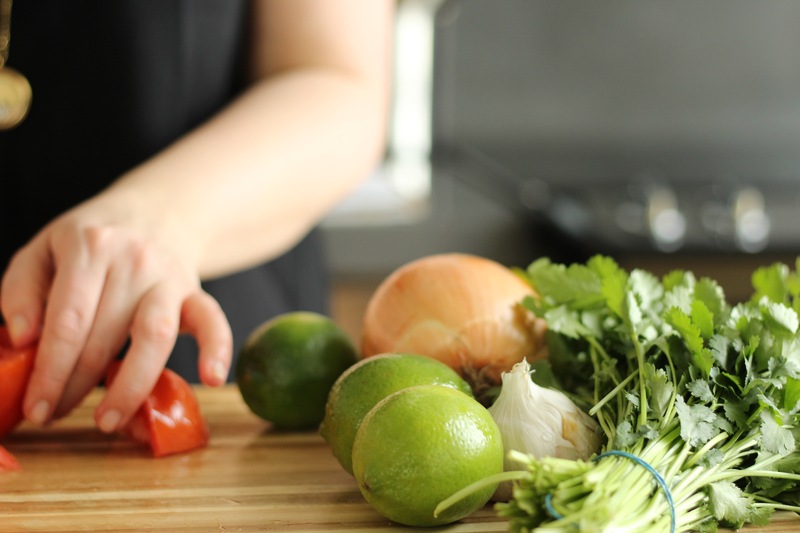 Right back to the whole idea of being prepared, if you’re headed out somewhere and you know where you’re going, it’s pretty easy to check the menu online in advance to plan out your healthier options. 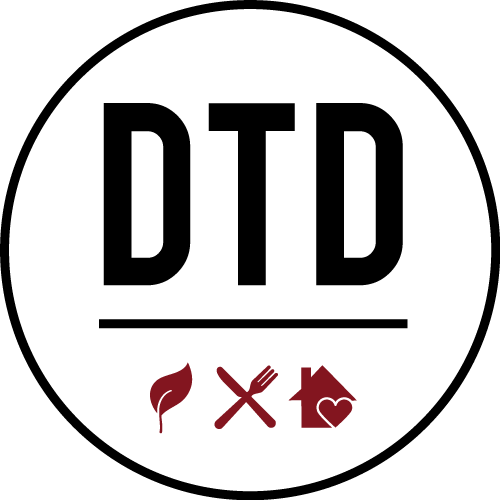 If you don’t have that luxury, nowadays, most places have really great healthier or alternative options or swaps that you can make. Be aware of the choices you’re making when eating out on the go. But, in the same vein, I’m also gonna tell you not to feel bad if you don’t always choose the healthy option. Don’t let anyone (especially yourself) make you feel any shame for eating whatever the eff you want – healthy or sometimes not. It’s your body and it’s all about balance, my friends. Own it. Ensuring that no matter where you are, what you’re doing or where you’re going, that you get in some YOU time is key. Take a minute to sit or lie down and just freakin’ breathe. This will help to reduce stress and lower levels of the stress hormone cortisol which can throw a whole bunch of your other hormones out of whack. Not to mention that it can contribute to weight gain and really mess with your energy and sleep. 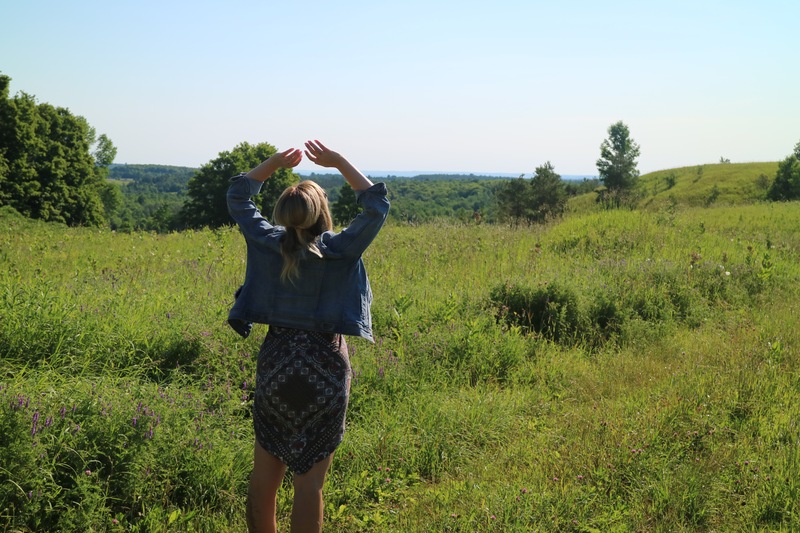 So go find a little patch of nature and take some lovely therapeutic deep breaths. But speaking of sleep, having a routine with that and ensuring that you’re doing everything you can to get enough rest is also key! A few of my favourite things to do when travelling somewhere overnight is to bring my sleep mask, some essential oils and earplugs or an app with soothing sounds. That way, you can help your body to produce that lovely melatonin hormone, which regulates your circadian rhythm, controlling your sleep cycle. Not staying somewhere overnight, but still have a busy day ahead? Grab some of those essential oils and use them when you just need a minute. Breathe, you’ve got this. You can’t pour from an empty cup, so take some time for you. Stretching can be done pretty much anywhere and has so many benefits, like increased flexibility, enhanced coordination, improved circulation, better posture and stress reduction. Taking a couple of minutes when you wake up or before bed to get in some good stretching is an easy way to fit it into your schedule. 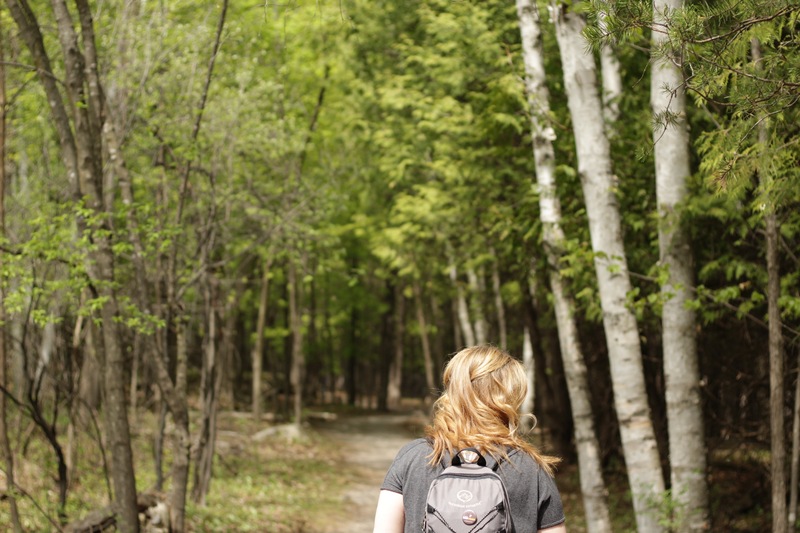 If you’re someone who can easily keep up your workout routine while on the go, kudos to you! But for the rest of us, while travelling or having days full of back to back meetings and events, the key is to block time. Treat it like another meeting or event and don’t compromise moving it when something else comes up (cause it always will and that just gives you an excuse not to make it a priority). Remember those 3 Ps? You’ll never forget them now, if I have anything to do with it! Well, planning, preparing and being proactive means being ready when hunger strikes. It’s easy to head right into the nearest coffee shop to grab what I like to call some “beige food” instead of having something of your own on hand. If you opened up my purse right now, you’ll always find some snacks. Cause I like to control what the heck I’m putting into my face hole when I’m getting hangry! And what exactly would you find in there right now? Oh, well let me tell you. 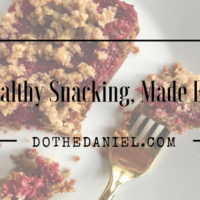 My new favourite healthy snack – Kashi joi, a new line of wellness bars. 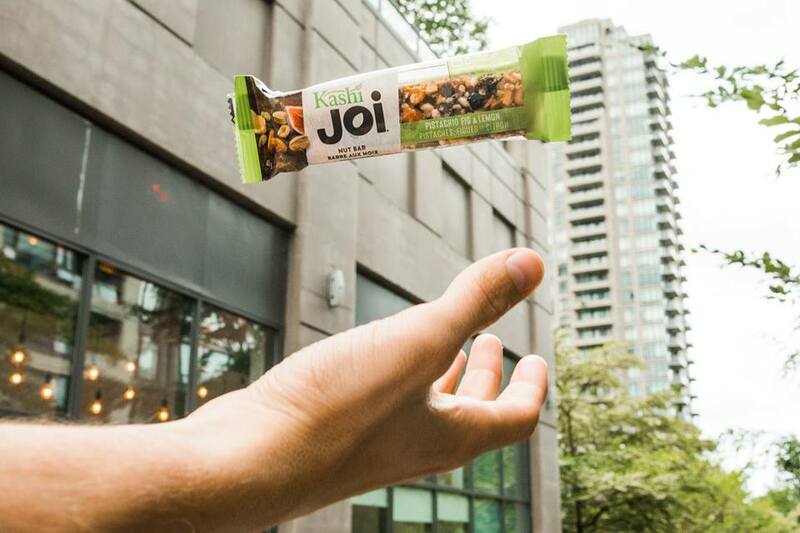 Made in Canada and only available in Canada, Kashi joi bars are nut-based, bursting with real, simple ingredients that won’t ruin all of your health goals while you’re trying to get your snack on. All of these bars are Non-GMO Project Verified, gluten-free, soy-free and Kosher, with no artificial flavours or colours. But my favourite part is that you can pick between their 2 bar formats with 6 different flavours! 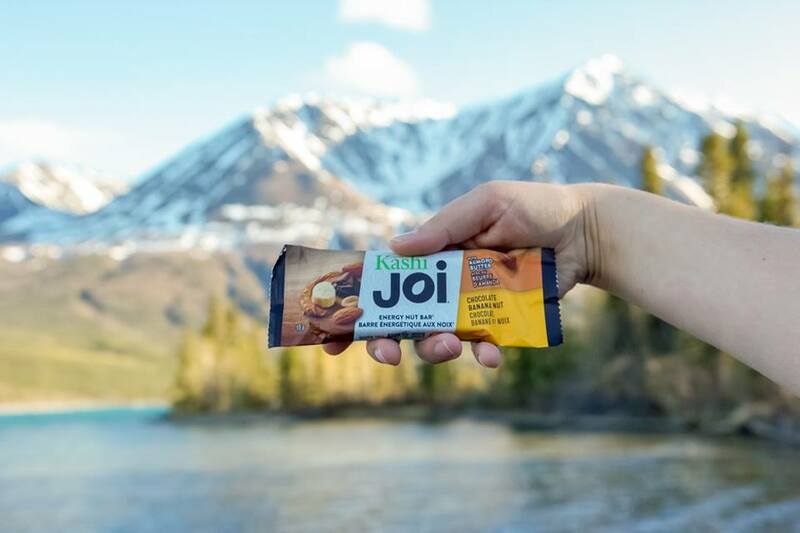 Kashi joi Nut Bars: With 6 grams of protein, these are an ideal healthy snack made with wholesome ingredients that give you the little boost you need while on the go. Flavours include raspberry dark chocolate hazelnut (likely my favourite), pistachio fig and lemon, and coconut cranberry almond. Kashi joi Almond Butter Energy Nut Bars: With almond butter as the main ingredient, these bars provide 9-10 grams of protein from the variety of nuts (meaning no ingredients like soy to supplement that protein). 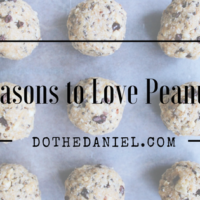 Flavours include dark chocolate espresso nut, banana chocolate nut, and blueberry maple pecan. The best part about these bars (other than the health benefits and the taste) is that Kashi joi has created humorous tutored tasting audio guides, available now on Soundcloud. The fun audio guides walk listeners through the experience of eating a Kashi joi bar, describing the ingredients and incorporating some mindful eating practices to encourage “joyful little snackers” to nosh on! These unique flavours of Kashi joi nut bars help to celebrate joyful moments and adventurous flavours. Be sure to experience and share your moment of joy on Instagram with #Kashijoi. Be sure to follow along with my Instagram account! For more information and helpful tips, make sure to stay up to date with all things Health & Nutrition on my website, Catherine’s Cabinet.